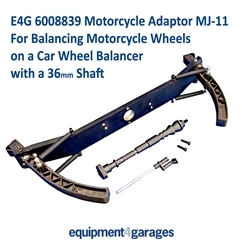 The latest development in Motorcycling Wheel Balancing Kit. Comprises of a 14mm threaded shaft with cones and spacers. For other UK areas and for overseas/exports please contact Richard or Kellie for a delivery cost before ordering.